The Indonesian Defence Minister said in September 2015 that his country intended to buy a squadron of Su-35 fighter jets to replace its aging American F-5 ‘Tiger’ aircraft. The campaign in Syria has led to an increased interest for Russian weaponry in the world arms markets, particularly in Asia. We take a look at who Russia’s partners are in the region, and who are its main competitors. Asian countries, particularly China and India, are Russia’s top partners in the sphere of defence cooperation, officials have repeatedly stated. At the moment, there are contracts in place with a number of countries in the region for the supply of military fighter aircraft, air defence systems, submarines, and other weapons. The Asian continent is the global leader in terms of growth in defence spending today, and a huge market for arms exports has opened up in these countries. “Interest in Asian countries can be explained by the fact that their armed forces are familiar with our weapons, and the Syrian campaign has shown their effectiveness in actual combat. This applies primarily to aircraft, submarines armed with cruise missiles and air defence systems,” said Igor Korotchenko, chief editor of the magazine National Defence. A sharp increase of interest in Russian Su-35S fighter jets and other new weapons has been observed, indicating that existing contracts would be continued and expanded and new ones signed. China was the first country to order four divisions of the S-400 ‘Triumph’ anti-aircraft missile systems. “Each division can consist of 4 to 8 separate S-400 launchers plus several transport and loader vehicles, two radar stations, and several dozen support vehicles. The total amount of active and support equipment within this contract could reach 300 units,” Korotchenko told RIR. According to Russian military specialists, this defensive system is unique in its segment, with no analogues in the world. “This complex is capable of destroying all existing and being developed air attack systems. Whether these are “air to ground” or “ground to ground” missiles, and all existing aircraft of a potential enemy, said Vadim Kozyulin, Professor at the Academy of Military Sciences. Russia and China, after long negotiations, also signed a contract for the delivery of 24 multi-role, super-manoeuverable, and multifunctional 4++ Generation fighter jets – the Su-35. This deal is estimated to be worth $2 billion. As in the case of the S-400 missiles, China became the first country with which Russia has signed a contract to supply the newest combat aircraft. To this biggest partner, Russia exports weapons and military equipment worth more than $4.5 billion, under current contracts. During the arms exhibition Defexpo India 2016, Moscow had prepared a draft agreement for supply of the S-400 Triumph anti-aircraft missile systems to India. According to media reports, the value of this deal could reach $6 billion. Prior to this, the most expensive agreement signed between the two countries was for the purchase of the Indian aircraft carrier Vikramaditya in 2013. The contract amount was initially set at $974 million, but later grew to $2.33 billion. Additionally, a few years ago, India signed a new contract for supply of 124 ready-made T-90S tanks and assemblies worth $1.24 billion. At the end of 2013, the Indian government approved the purchase of another 235 tanks and assemblies. 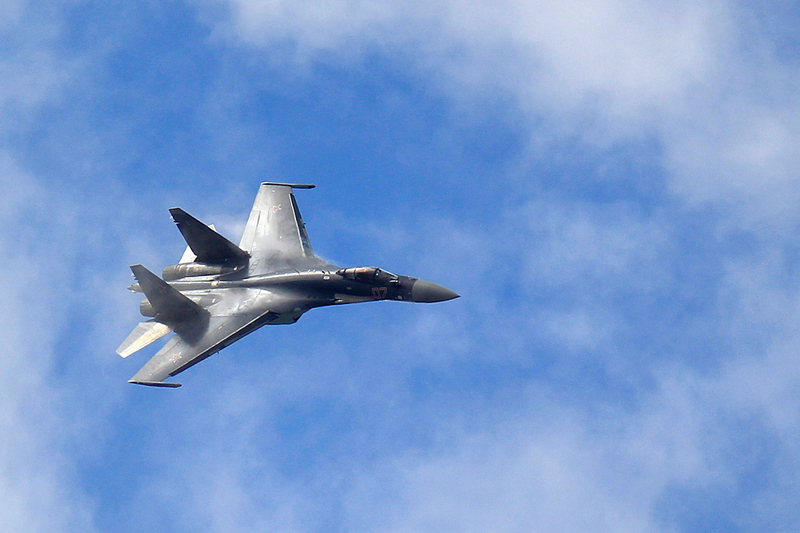 The Indonesian Defence Minister said in September 2015 that his country intended to buy a squadron of Su-35 fighter jets to replace its aging American F-5 ‘Tiger’ aircraft, which were over 40 years old. A high-ranking delegation from Jakarta came to Moscow in the beginning of April for talks on the delivery of new aircraft for the country’s armed forces. According to Bloomberg News Agency, they discussed the purchase of between eight and ten Su-35S. In recent years, Indonesia has also bought 10 Mi-17 transport helicopters, five Mi-35P attack helicopters, and twenty BMP-3F infantry fighting vehicles from Russia. In an interview with Interfax, Vladimir Kozhin, presidential aide on Military Technical Cooperation matters, said Russia’s main rival in this business was, and remains the United States of America. Both countries, he said, are developing in parallel almost all modern systems that will be in operation “tomorrow and after tomorrow”. Competition for certain types of weapons also comes from Western European countries: France – aviation, Germany – heavy weapons. “One always has to keep in mind that in buying weapons, the country buys not only the ‘hardware’, but also certain political dividends,” said Kozyulin. Some buyers, therefore, no matter how interested they might be in acquiring Russian weapons, will never turn to Moscow, because they need the support, for example, of the United States on some issue.